JAKARTA • Indonesia's youth today are often seen as a force for change in a country which, despite its rich ethnic diversity, continues to wrestle with racial and religious intolerance. But the findings of two new surveys, out in recent weeks, are challenging this long-held narrative. The first found that one in every five students supports the formation of a caliphate over a secular government, while more than half in a second poll said they were intolerant of minorities, including those from other smaller Islamic sects. The results are disconcerting because unlike past surveys, the latest studies were focused on high school and university students - young people thought to hold broader world views due to their education. Unfortunately, both surveys, which were based on responses to close-ended questions, did not explore why these millennials held such extreme views. 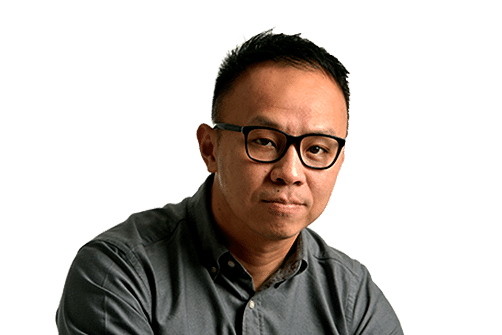 Nonetheless, some observers in Jakarta suggested to The Straits Times that one reason could be the lack of economic opportunities in Indonesia for a fast-growing youth population hungry for success. A recent study by the ISEAS - Yusof Ishak Institute found that while President Joko Widodo's approval rating is at a high 68 per cent, job prospects remain a concern. And while the unemployment rate fell this year to 5.5 per cent, there are 10,000 more people jobless due to an expanding labour force, which today is at 7.04 million. The failure to land jobs adds pressure on young people who, feeling alienated or disenfranchised, sometimes look for scapegoats for their plight. While this may explain the anti-Chinese sentiment that persists in some quarters of Indonesia today, it may be an over-simplification of the reasons why this sense of intolerance is brewing among the youth. Researchers from the Jakarta-based Centre for the Study of Islam and Society (PPIM), which conducted one of the studies, entitled their report Api dalam Sekam, the Indonesian phrase for a hidden fire. Almost 60 per cent (of respondents in the survey) admitted to having "radical" religious attitudes. Asked if they were intolerant of minorities, more than half said yes, with mainstream Muslims not only drawing lines between themselves and non-Muslims, but also against other Muslim minority communities such as the Shi'ite and Ahmadiyah. When used in political discourse in this part of the world, it refers to a lurking danger, and indeed, the centre's findings seem to have uncovered an unseen threat to Bhinneka Tunggal Ika, Indonesia's state motto of "Unity in Diversity". The PPIM survey covered more than 1,800 high school and university students in 34 provinces across Indonesia last month. Almost 60 per cent admitted to having "radical" religious attitudes. Asked if they were intolerant of minorities, more than half said yes, with mainstream Muslims not only drawing lines between themselves and non-Muslims, but also against other Muslim minority communities such as the Shi'ite and Ahmadiyah. Almost a third had no problems with intolerant acts committed by others against minorities, while almost 90 per cent said the government should ban heretical groups. PPIM director Saiful Umam said that there is cause for concern because although the current situation is not "particularly dangerous just yet, there is a tendency that (intolerance among youth) will grow". The other survey by polling firm Alvara involved more than 4,200 Muslim students, mostly from top schools and universities in Java, the island where half of Indonesia's population live and work. It found that nearly one in four students, to varying degrees, was ready to fight to establish an Islamic caliphate, Reuters reported earlier this month. 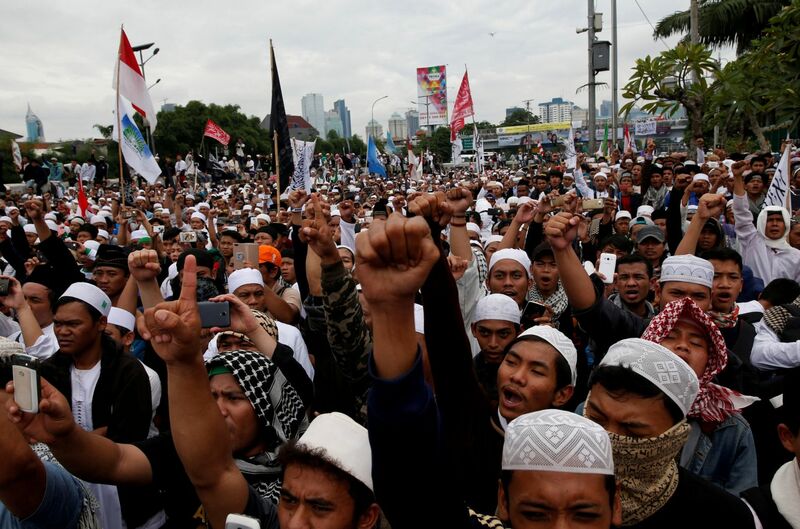 The findings indicate that radical teachings may have infiltrated Indonesia's elite schools, said the Alvara pollsters. Although Indonesia is the world's largest Muslim-majority country, it is not an Islamic state. Its Constitution recognises six religions: Islam, Catholicism, Protestantism, Buddhism, Hinduism and Confucianism. But it is hard for anyone to deny that there has been a rising tide of religiosity, and with it growing sectarianism, in Indonesia over the past year or so. Earlier this year, there was hope that Christian politician Basuki Tjahaja Purnama would make history as the first double-minority to be elected governor of Jakarta. Better known by his Chinese nickname Ahok, Basuki was defeated by Muslim rival Anies Baswedan in a bitter campaign fraught with sectarian discord, and later jailed for insulting Islam during the campaign. His loss showed clearly how the growing influence of Islam can play out in Indonesian politics. His rivals capitalised on the blasphemy scandal, often playing the religion card, to win votes. The Ahok case also gave hardline groups such as the Islamic Defenders Front (FPI) an excuse to organise street protests, call for the imposition of syariah law and to restrict political office to Muslims. In finding that a majority of Indonesians view Chinese Indonesians as privileged, overly influential and exclusive, the ISEAS - Yusof Ishak Institute study also showed that almost 65 per cent of respondents were uncomfortable with them being in positions of power. It did not escape notice that Mr Anies in his inauguration speech called for Indonesia's indigenous people to regain control of the country from foreigners. Mr Joko has made significant progress in trying to curb the spread of intolerance and radicalism. Recently, his government pushed through a law that bans civil organisations deemed a threat to Indonesia's non-sectarian Constitution. Last week, the Constitutional Court ruled that native-faith devotees, such as the Sunda Wiwitans or Parmalims, should be accorded the same rights as followers of the six official religions. Mr Joko also regularly visits schools to encourage the young to embrace the ideals of Bhinneka Tunggal Ika and Pancasila, the Indonesian state's founding philosophy, which among other things lays down a belief in the "one and only God", but does not specify which. A focus on youth is important for Indonesia, where half the citizens are under 30 years old. The findings from these surveys show that Indonesia cannot take the attitudes of its youth for granted if it wants to retain its values of pluralism and diversity. Furthermore, Indonesia has tremendous potential to be a great power in Asia. New York University economist Nouriel Roubini has gone so far as to claim that Indonesia could even outperform China, given its low debt and inflation, as well as its young demographic. But it would be hard for Indonesia to achieve this while the world - read: foreign investors - is distracted with questions over its domestic stability because of sectarian strife. As a first step, more needs to be done to fully explore the reasons for this surprising attitude of intolerance among younger Indonesians. Is it just the fear for one's job prospects, the politics of envy or the conditioning via the bubble of social media of old myths about those considered outsiders? Whatever the causes, it is a critical task as Indonesia's social fabric and the progress it has made in the past decades are at stake.